Feel free to slam us with your NY-oriented feedback in the comments section. It's Energy Week in New York. If we’ve done our jobs correctly, this list of the top ten cleantech leaders in New York today should inspire both enthusiastic agreement and infuriated disagreement. The exciting thing about the sector today is that its prizes are up for grabs: riches, power and influence are easy to identify in sectors with long histories and established practice, but that isn’t where innovation, economic growth and the promise of personal achievement lies. As we go through the week and issue more of these lists, the purpose is to incite discussion. New York Energy Week is about bringing together disparate voices and differing ideas, and these lists are part of our contribution to the inaugural Energy Week, as well as part of our broader mission to highlight the new and the exciting in the energy sector. Berkenfeld works alongside New York Energy Week supporter Ted Roosevelt IV in the leadership of one of the world’s largest bank’s cleantech initiatives. A board member of the Sierra Club and a sponsor of Cornell’s Employment and Technology Roundtable, Berkenfeld defines what it means to be a cleantech leader in New York. The inclusion of a Canadian on this list is a testament to the efforts that country, poised on the cusp of its own not-always-comfortable energy transition, has made in engaging with its largest trade partner in the U.S. and with the New York energy community specifically. They’ve flown New York journalists to the Alberta oil sands and have leveraged their own experience in navigating a shift to renewable energy through making their leadership available for informative and transparency-boosting discussions in the city and beyond. Janet Joseph is one of those leaders who seems to be everywhere. Finding out more about New York State’s Energy Plan? Her name appears over and over. Wondering how the state is going to transition to an economy with greater reliability but fewer emissions? 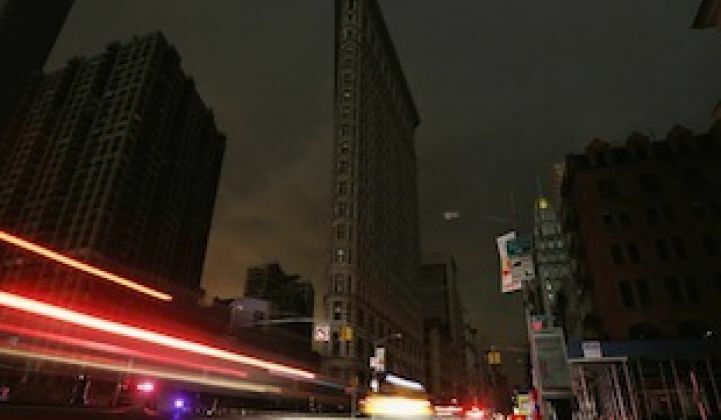 As the boss of the New York State’s Energy Research and Development Authority’s energy research, energy analysis and planning functions with more than two decades of agency experience, no one is more aware of the gaps in today’s energy systems and how to fix them. It seems inevitable that one of the most-nominated and most-recognizable members of New York’s cleantech leadership is actually based in Washington, D.C. The trains and planes back and forth between those cities are packed with executives and regulators finding new ways for policy to support innovation. IBM is a major New York company, and the firm that always seems to have gotten everywhere first: when seeking an expert to discuss the cutting edge of cleantech, IBM always has someone available whose credentials and sector knowledge are unbeatable. Juliano uses communication technology with the best of them, perhaps adding to the sense in the New York cleantech community that he manages to be multiple places at the same time. As the signs all over town attest, New York City is the world’s financial capital. That makes one of the city’s most inventive and cross-disciplinary venture capitalists a must for inclusion on a list of cleantech leaders. Kapoor heads up SJF Ventures’ New York City office and leads the NYC CleanLinks program while also advising NYC ACRE at NYU-Poly. He was nominated multiple times, testament to his commitment to building and strengthening the city’s cleantech networks. New York City native Kotch describes himself as a startup junkie and has brought both of those attributes to his leadership at the city’s most high-profile incubator for early-stage renewable energy and cleantech companies. In a city economy dominated by huge companies but increasingly looking to startups to drive growth and employment, his relationships across the corporate world have helped build a vital support network for the city’s first generations of leading cleantech companies. New York is known for many things, but its leadership in design work is unparalleled in the U.S. Mackler has put design at the heart of his solar energy business since founding it in 2008, and his vision has led the company to success in installations of solar-roofed buildings, parking facilities and even sculptures. The company’s headquarters at the heart of midtown build on that neighborhood’s long history of design and industrial product innovation, and have been part of the company’s success in avoiding the broader fallout in the increasingly commoditized solar business. The Bloomberg administration has taken a long-term view of the city’s future that is unprecedented among U.S. municipal governments. Few developed-world cities have managed the transition from an industrial base to a service economy so well, and the city’s leadership is determined not to miss the equally dramatic transition underway to a knowledge- and innovation-based economy. Creating the best of both worlds, where solving the city’s self-evident sustainability challenges also sparks new companies and new jobs, is Mahnovski’s task, and he’s off to a strong start in the high-profile role. Some of New York’s greatest talents in cleantech have emerged from some of its largest firms. That’s the case at OwnEnergy, a wind energy firm led by former founding member of Goldman Sachs’ Alternative Energy Investing group. OwnEnergy partners with landowners to develop 10-megawatt to 80-megawatt wind energy projects, capitalizing on the distributed generation future and focusing on a part of the market which larger firms have either ignored or found difficult to move nimbly into. As founder of the company, Susman built a leading New York cleantech company from nothing, and now counts such boldfaced names as former Pennsylvania governor Ed Rendell among his company’s supporters. New York City’s built environment is iconic, inspiring and deeply troubling for many in the cleantech community. The city’s real estate stock is in large part aging and, when compared with modern building practices, remarkably inefficient. Bringing together the design, construction and real estate communities to investigate new technologies and provide education is the purpose of Green Light New York, and Richard Yancey is part of a team supported by some of the city’s most celebrated energy and real estate names. Various Disclaimers: Peter Gardett is the Founding Editor of Breaking Energy and a board member of New York Energy Week. The lists compiled as part of Breaking Media’s partnership with New York Energy Week would give his old statistics professor a seizure, as they have been put together with an emphasis on the qualitative but in an effort to acknowledge where multiple nominations identified initially unlikely candidates or left initially nominated leaders unsupported. Essentially, Breaking Energy and ESF spoke to a lot of people and applied our editorial judgment and decades of experience to highlight leaders we thought deserving as part of New York Energy Week. Please tell us how right or wrong we were in the comments.